Respite: A short period of time when you are able to stop doing something that is difficult or unpleasant -an interval of rest or relief. 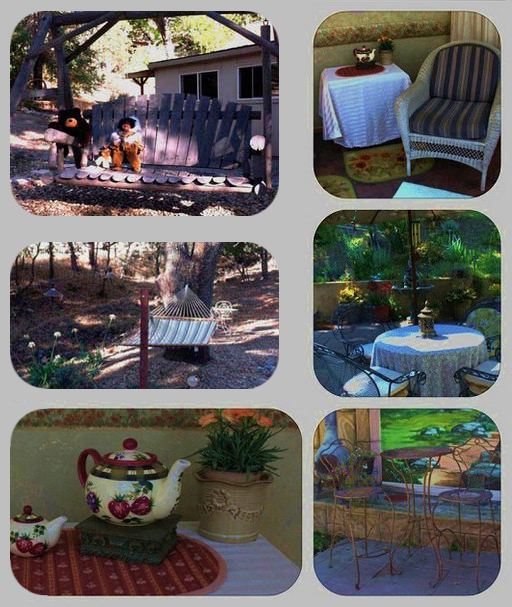 Create the opportunity to treat yourself to a respite at 36 Oaks Country Retreat. Relax and refresh yourself, for all you do for others! It’s time for us to care for you! At 36 Oaks, nature is at the top of our list to begin healing. You will start to feel her healing powers when you see squirrels playing in the trees or hearing the hawks calling as they soar above us. You may see deer and turkeys wandering through or witness the hummingbirds as they gather sweet nectar from the flowers. You deserve a respite that offers you this …and more! I personally recommend a massage, a detox tub soak, and then just nap, lay in a hammock, read a book or whatever makes you feel your best. *Strength and inspiration can be found by retreating into the stillness that quiets the mind. It is most important to know when and how to replenish your life force. *Seek self empowerment in silence and inactivity, where you can access dreams and visions without the intrusions of worldly chaos.